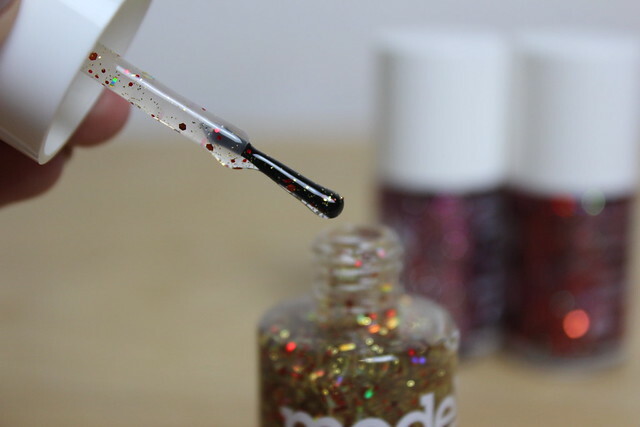 Hot on the heels of the Velvet Goth collection from Models Own is the Firework Collection – even more sparkly than the one before it. These are little nail equivalents of sparklers, Catherine wheels and fire rockets. Full of sparkle and pop. Again, I have a trio of shades from the collection to give you a little peek. Left to right, the shades are: Catherine Wheel, Roman Candle and Rocket. With the swatch wheel showing one coat and then two coats so you can see the density difference between the two. Catherine Wheel is the golden shards of glitter with a few red chunks in there plus some finer gold glitter. 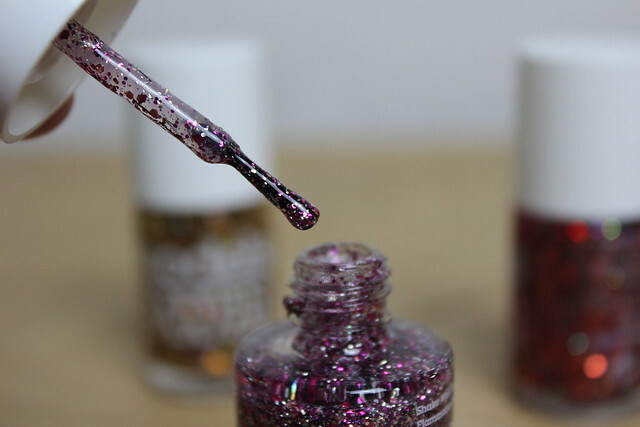 Roman Candle is the purple/pinky shade with more chunks and fewer shards of glitter in there. 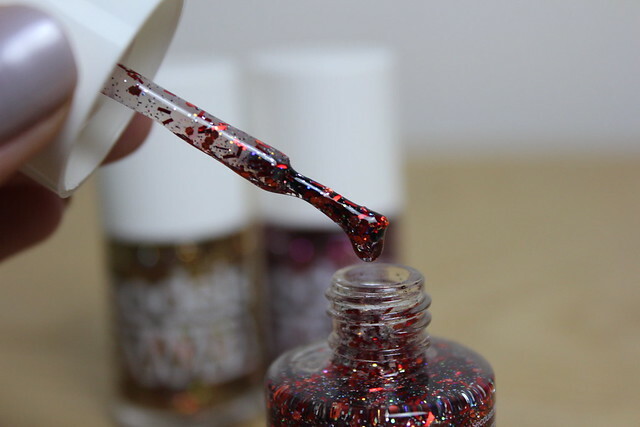 Then there’s Rocket – the rich red with lots of shards and finer sparkle with some black bits in for contrast. 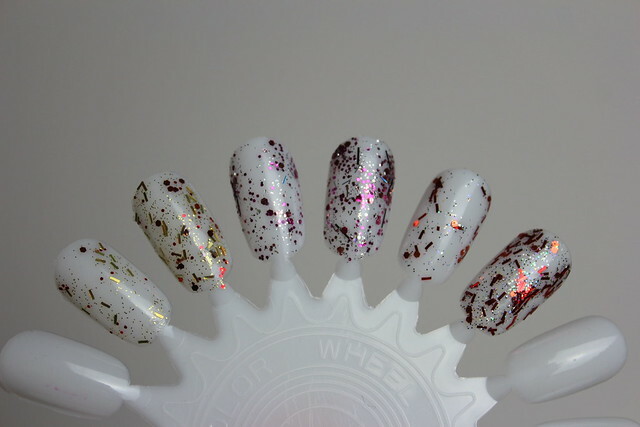 All shades have a clear base with all the colour coming from the glitter – so these would probably look best over a coloured base unless you wanted to build three/four coats to get a thicker density of sparkle. Personally my top pick is Roman Candle – I love this colour! Which is yours?! I also have my eye on ‘Banger’ the blue shade from the collection that looks amazing. 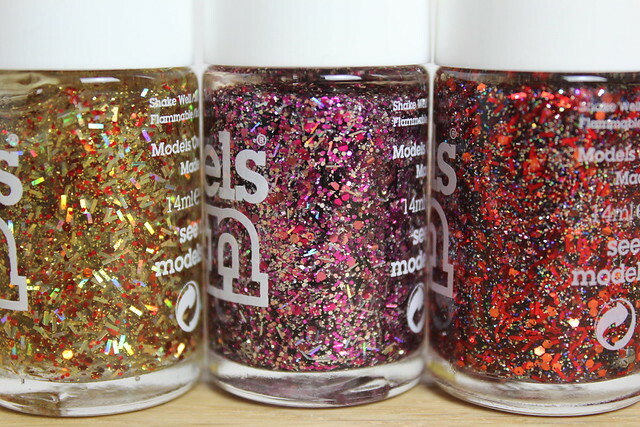 The fifth shade is called Sparkler and is a mixture of glitter shard colours and does look rather special too. Ah nothing gets me more than a themed seasonal beauty collection. I really love this.